Power Transformers are industrialized according to the international standardization [IEC-60076] in the right purchased technical know-how from Mitsubishi Corporation Company (Japanese Company) and are produced to adequate with all industrial utilities. Design Capacity of the Factory is 3000MVA per year. Core- form transformers for high voltage and large capacities can be manufactured at comparatively low cost because of their compact size and simple insulation structure, and yet they are mechanically strong and easy to inspect. The self - cooled system requires no auxiliary devices and permits easy maintenance. The coil is wound with untreated Kraft paper , and the lack of varnish treatment allows the coil to be amply impregnated with degassed oil , which gives it a high impulse ratio and high dielectric strength against impulse voltage. The insulation of the coil end is also improved, and coils for high voltages are equipped with a static plate to insure good voltage distribution and thus give sufficient strength against lightning surge. 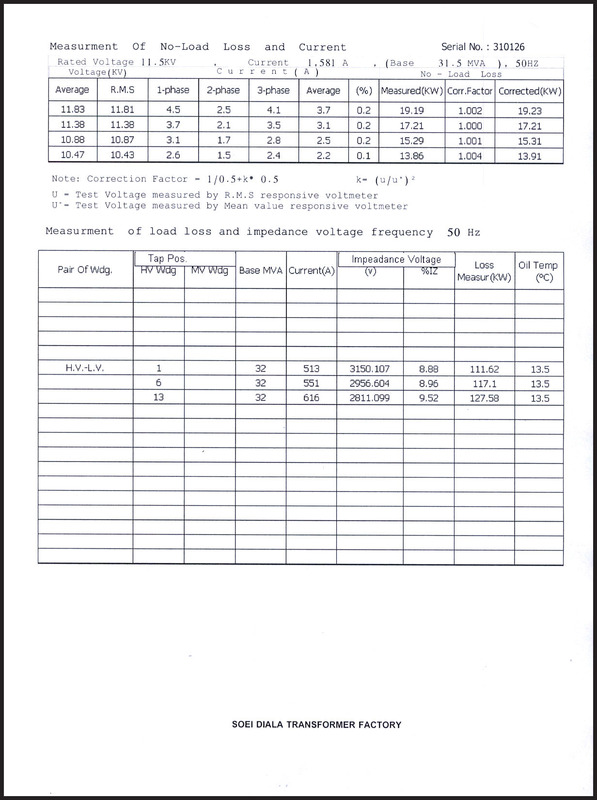 Coils for high voltages have a high series capacity winding which minimizes internal potential oscillation and abnormal voltages. Cold - rolled grain - oriented silicon sheet steel is used , resulting in highly efficient transformers of reduced size and weight. 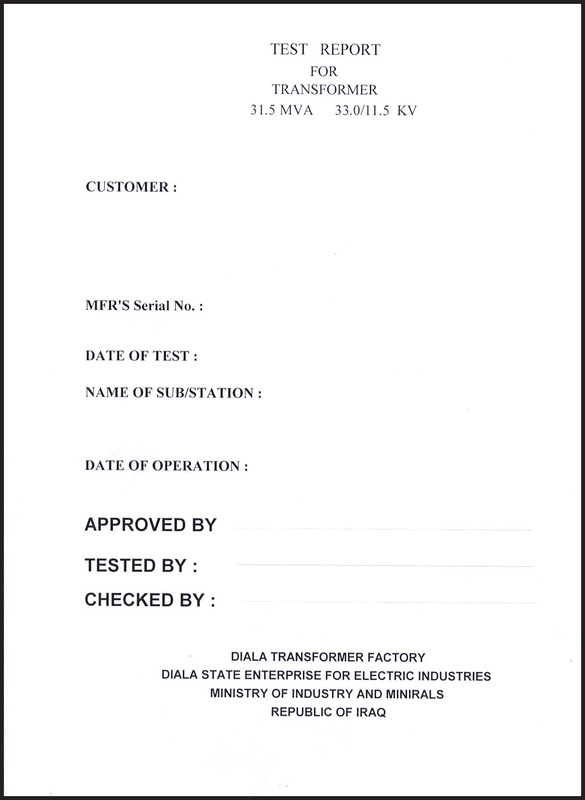 Diala large power transformers employ rectangular tanks reinforced as required to assure high mechanical strength . models requiring vacuum oil filling and vacuum drying have tanks capable of withstanding full vacuum. All oil-tight pipes are connected by flange couplings with gaskets , eliminating screw connections and assuring that there will be no leakage of oil or nitrogen . Also , the dial- type thermometer has been strengthened by a double - wall structure , which permits easy removal or replacement . The oil gauge is a round magnetic type which will not leak oil . All Diala power transformers can be provided with conservators , which prevent the deterioration of oil or insulation paper . Self - cooled radiators for type ONAN and ONAF transformers are seam - welded , making them convenient for on - site inspection purposes . they are also free from corrosion and oil leaking caused by the rusting of lower welded parts by rain- water. They can withstand full vacuum without requiring reinforcement. Transformers for over 60 KV use all- enclosed center-clamp type condenser bushing with high mechanical and dielectric strength. Since the bushings are separated from the oil in the tank , no oil leaks will occur in the case of bushing failure. 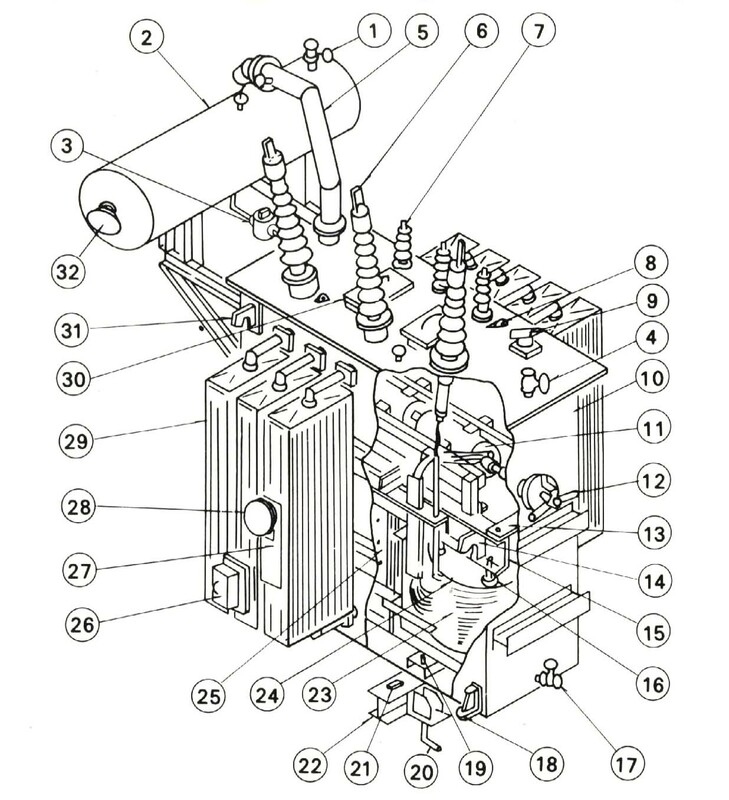 In standard practice ,the core of three - phase transformers has three legs. All these cores are made of high-grade silicon sheet steel with high permeability and low loss, and are built up in layers to fit closely within the circular coil . When cold - rolled grain -oriented silicon sheet steel is used the core construction is employed to take the best advantage of the excellent characteristics of the steel. In power transformers the standard coil is a concentric arrangement with a high -voltage outer winding , a low -voltage inner winding and a tap leading from the outer coil . Since transformers vary in voltage and current, coils must be selected on the basis of electrical and mechanical suitability to each class of transformer. The disk type continuous winding coil is interspaced with oil ducts and is strong both electrically and mechanically. When there are two or more parallel conductors for large currents , transposition is made at a large number of points , so that there will be no cross current between the parallel conductors. 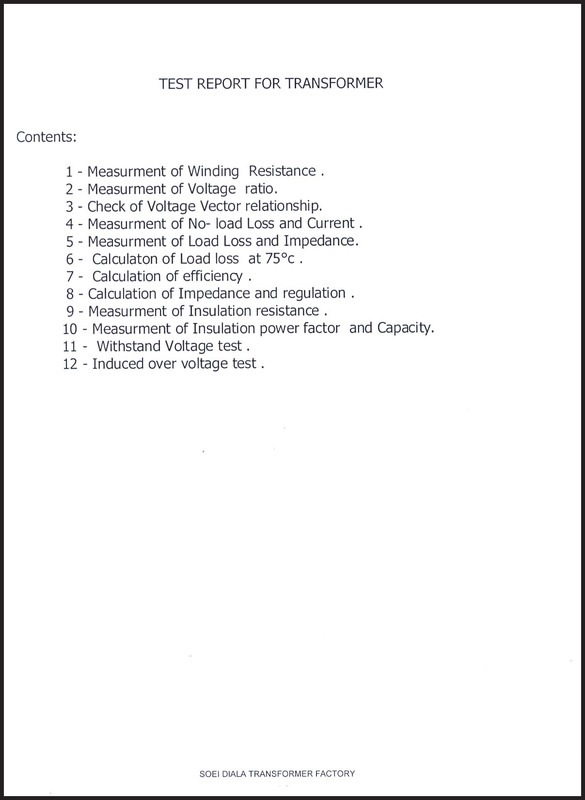 Transformers for high voltages employ the high series capacitance winding. 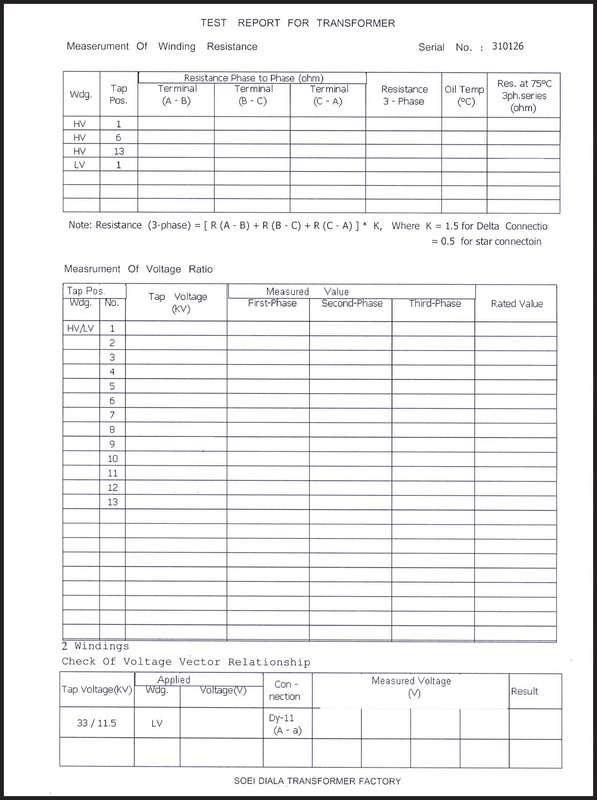 The series static capacitance of the coil is increased to such an extent by this special winding that the initial potential distribution of the incoming surge voltage (determined by the ratio of the series static capacitance to ground static capacitance ) becomes almost linear . 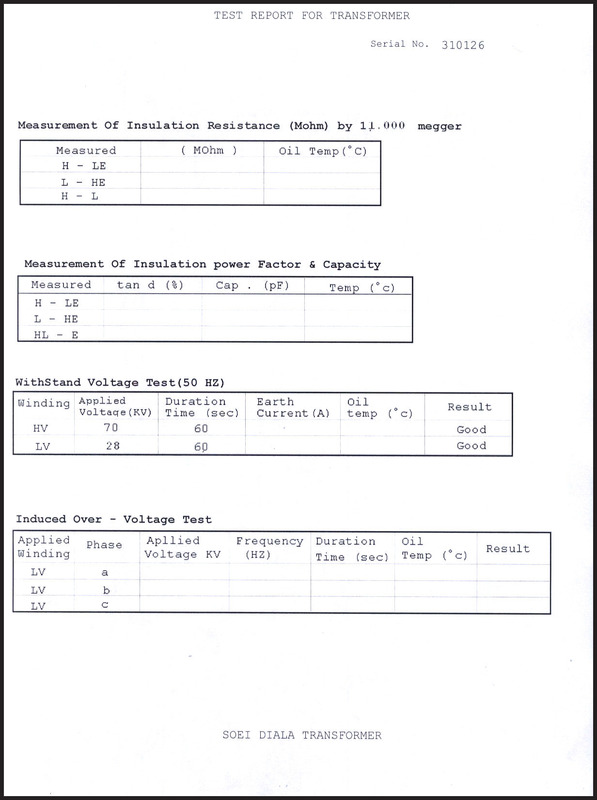 This reduces internal potential oscillation to a minimum and greatly improves the impulse voltage characteristics and dielectric strength of the coil . 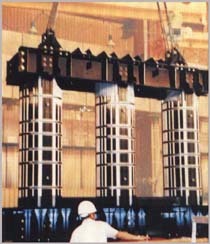 It also permits reduction of oil duct size, for an economical design with a good space factor . This type of coil is wound continuously except for several joints which are unavoidable , and is as mechanically strong as the disk-type continuous winding mentioned above . 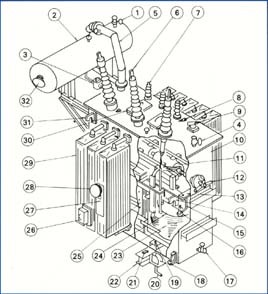 Transformers for heavy current are generally low in voltage but require an increased number of parallel conductors .This makes it necessary to use a helical winding because this helical winding has the same number of transpositions as there are parallel conductors, it can withstand the tremenendous mechanical force produced by short-circuit currents and its cylindrical shape prevents deformation. The coil is also able to withstand vertical forces because it is secured at top and bottom by pressure plates and spacers. 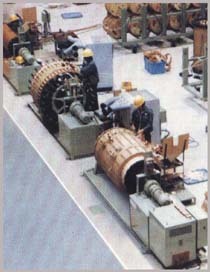 Cylindrical winding is used for medium-and small-size transformers. There are two configurations , one that has a perfect-circle cross-section, the other with a squared circle . Both feature simple construction, compact size, and economy . Vertical oil ducts assure maximum cooling effect. The parallel conductors are completely transposed as in the other three types. 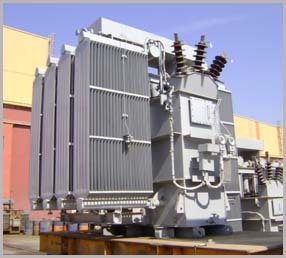 Diala large power transformers use rectangular tanks, made of rolled steel. 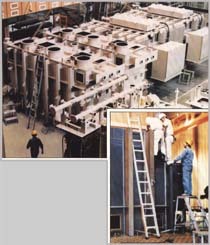 Tanks to be subjected to vacuum oil filling in the factory or field are reinforced to assure sufficient strength against full vacuum, and undergo strict pressure and leakage tests to check their strength and oil-tightness .Covers are normally welded to tanks , but they may be bolted if so requested. 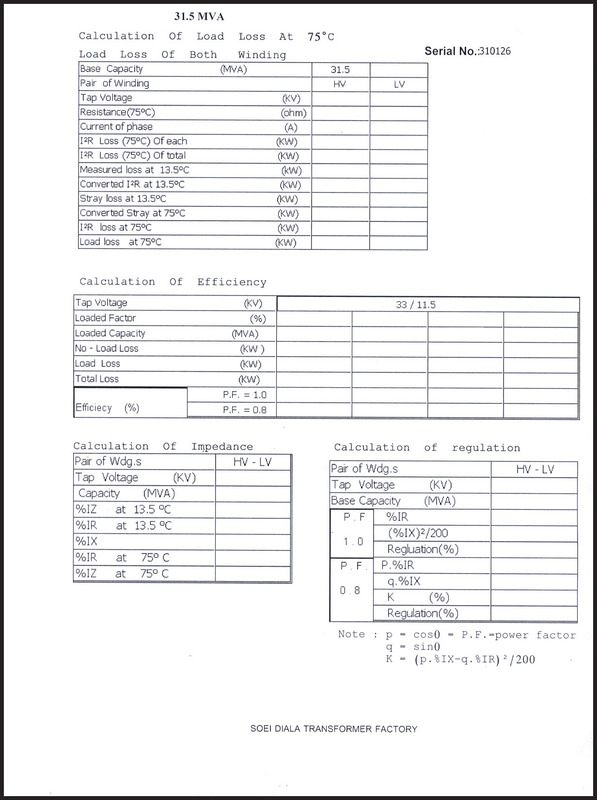 transmission ratio of ( 33KV/11.5KV) with various capacities (5,10,16,31.5)MVA. Power transformers of enforced and normal cooling type [ONAF] in various of connections with transmission ratio of (132/33/11.5)KV and capacity 63 MVA in two groups of connections YnDyn and YnYnd. Since we are highly trust our products and wanted offer the best after sales services and maintenance to our costumers, we have high experienced team of technicians who erect, operating and startup our transformers on field , customers can satisfy any request in all periodical inspection and maintenance. 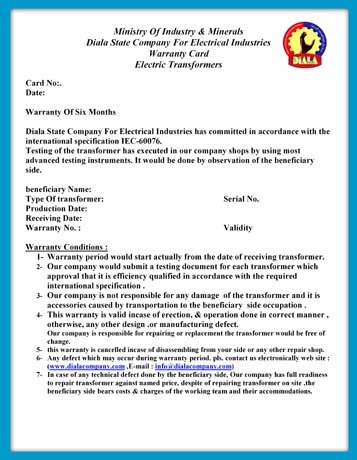 the attached certification cards are supply with each transformer, we repair and maintain other types of power transformers which produced by another international companies.